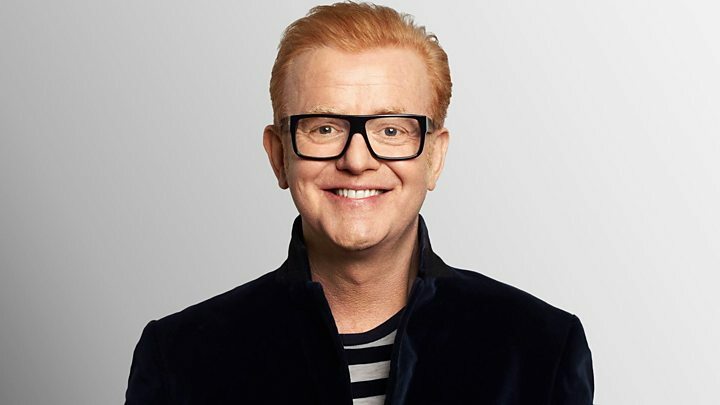 Chris Evans has announced he is leaving the Radio 2 breakfast show, prompting the question: who will take over? Tony Blackburn told BBC Breakfast earlier that whoever it is "will have quite a job on their hands". "The breakfast show is the most important show of the day," said the veteran broadcaster of the nation's most listened-to radio programme. Here are some of the presenters and personalities who could be in with a shout. Having stood in for Evans on numerous occasions, Cox would seem to be the obvious choice to take over after his Christmas departure. Currently hosting an evening show on Radio 2 from 22:00 to midnight, the 43-year-old previously hosted the Radio 1 breakfast show in the early 2000s. Sara also presented The Great Pottery Throw Down on BBC Two and recently guest presented This Morning on ITV with Michael Ball. Ball has also stood in for Evans on occasion and was the first woman to host the Radio 1 breakfast show solo. On Radio 2, the 47-year-old used to host the Saturday breakfast show and can currently be heard on Saturday afternoons from 15:00 to 17:00. Ball was quick to tweet about Evans's exit on Monday, describing him as an "absolute legend" who would be "most missed". Mayo hosted the Radio 1 breakfast show from 1988 to 1993 and again in 1997 after Evans was sacked. The 59-year-old has hosted Radio 2's drivetime show since 2010 and presents a film programme with Mark Kermode on Radio 5 live. Jo Whiley was made a co-host on Drivetime earlier this year in a divisive shake-up that has not pleased some of the show's listeners. How long does a radio show take to settle in? The Strictly Come Dancing co-host currently presents a Sunday evening show on Radio 2 having previously hosted a Friday night arts show on the station. The 46-year-old has also stood in for Ken Bruce and Steve Wright on occasion, though her busy schedule may preclude a move to the breakfast slot. Bacon and breakfast tend to go together, so the former Blue Peter presenter might be worth a punt were one in a betting frame of mind. The 42-year-old, who left Radio 5 live in 2014, had a health scare earlier this year after falling ill with suspected pneumonia on a flight from the US. "I back everyone on this list," Bacon tweeted on Monday, going on to praise Evans for "the way he keeps surprising [and] doesn't sit still." Theakston and former Spice Girl Bunton currently co-host the breakfast show on Heart FM in London so could conceivably take over from Evans, either individually or as a duo. The pair have been broadcasting together since 2013, when Bunton took over from Theakston's previous on-air partner, Harriet Scott.